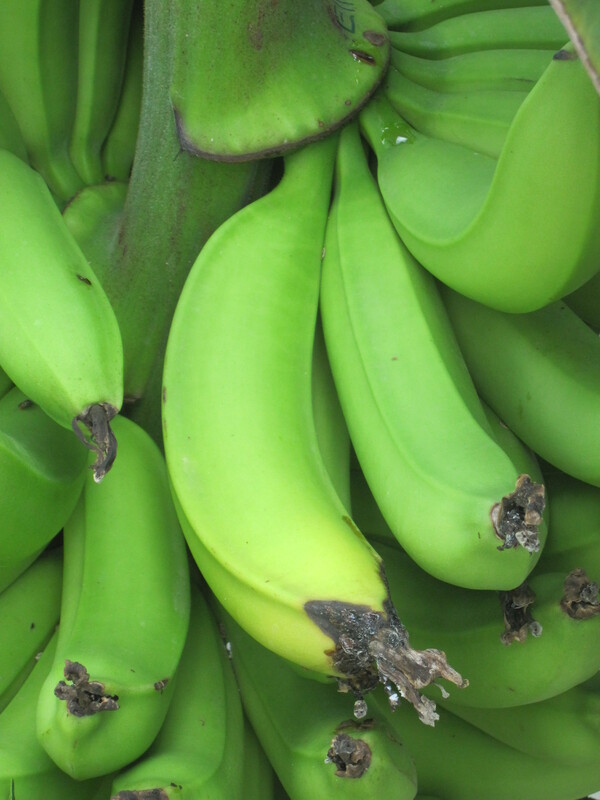 This entry was posted in Banana, Grandpa, Paid Gardener and tagged Banana by Growing Like a Weed. Bookmark the permalink. I have a question about the spade leaf. Is it the long handle part that’s joined to the plant or is the the part sticking out at the end of the leaf? I m wondering in a hopeful way if I have a spade. It’s the long handle part that is attached to the main stem. 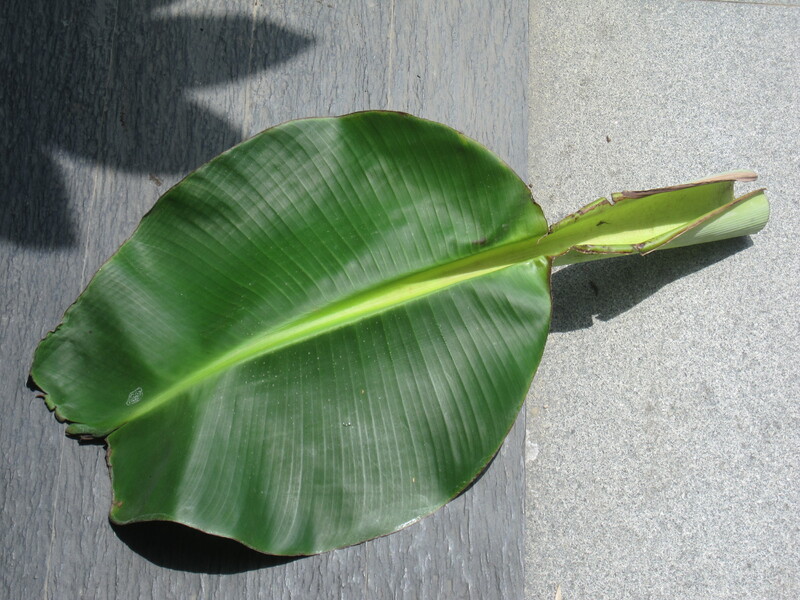 It looks just like an ordinary leaf and acts just like that too – it unfurls itself. Only difference is the shape and size. From the Mother Weed: Anything will listen if you threaten it while holding a machete. O thank you for telling me this. This takes away the guessing if something is a leaf or a bell. 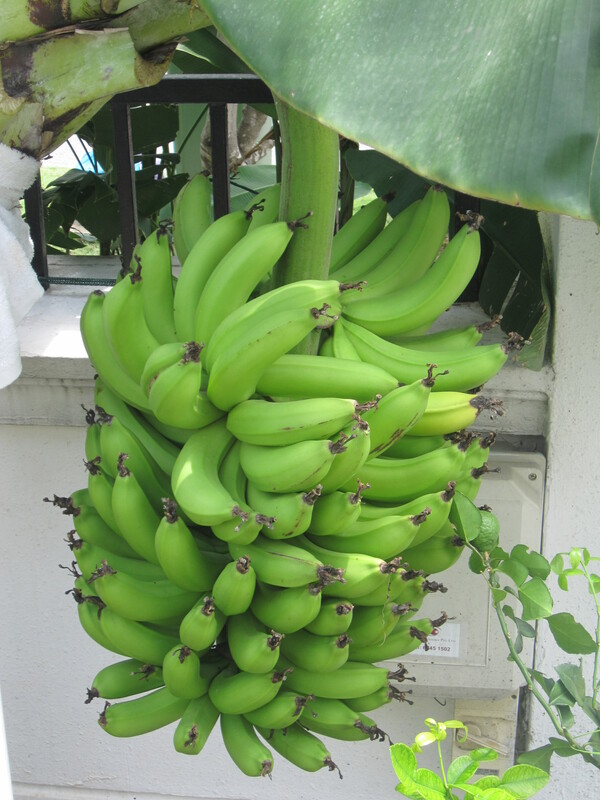 My banana tree is not signalling it is ready to bear fruits yet.